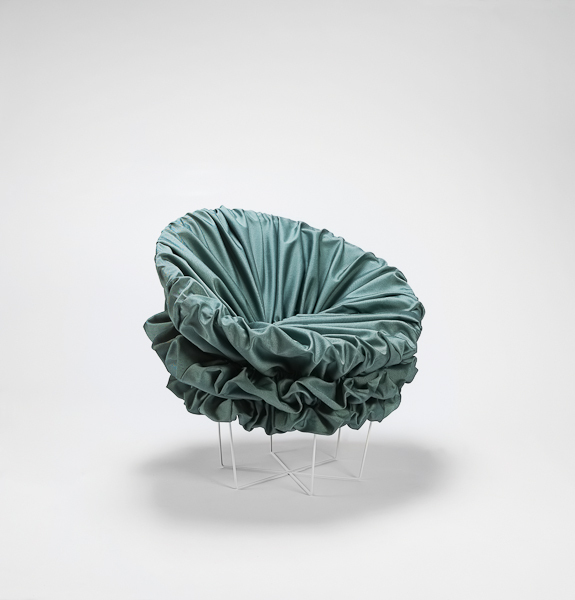 Designer Lisa Hilland is a graduate of Central St Martin´s College of Art and Design. After ten years of studies and design work in London she founded her own design studio in Sweden in 2005. Working with renowned furniture producers such as Klong, Gärsnäs, Gemla and Svenskt Tenn, she has gained a reputation for modern design with a poetic twist, combined with artisan quality craftsmanship. Here are my two favourite pieces. 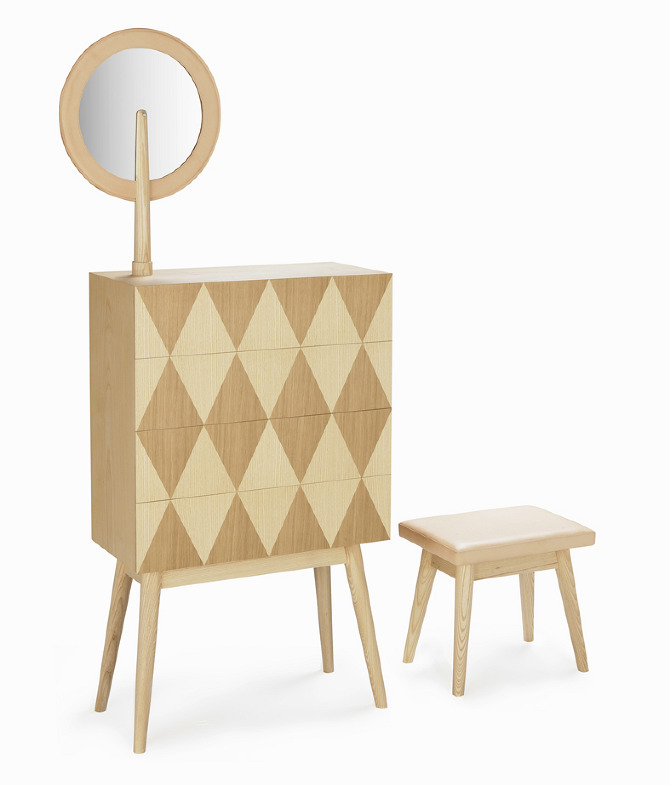 Harlequin is a dainty chest of drawers with a mirror and a stool. Adding a touch of style to the hallway, it gives you a place to sit while tying the shoes, getting the scarf and gloves out of the drawer, and catching that last look of yourself in the mirror before hitting the streets. Materials: Solid ash with veneer ash/oak, glass mirror and leather. showing off the textile at its best, like a red carpet dress! Prototype.